But, I also have to say I've been really impressed with the people I see who are keeping it real in their comments on these photos about that good old thing we call the stainless color chart. Question: Which color is best in welding? 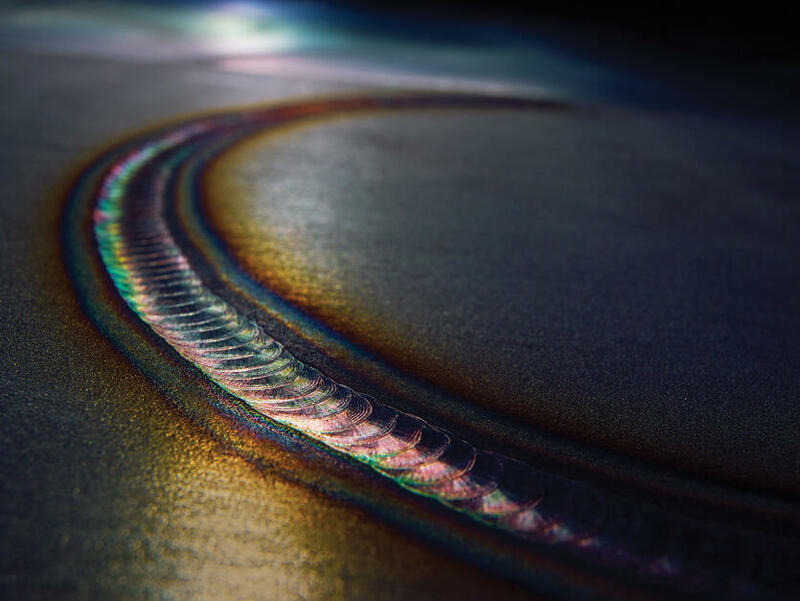 Color in a weld is a sign of oxide. Oxide lessens the ability of stainless metal to resist corrosion. Corrosion puts the integrity of the weld in jeopardy. That's why it's best to strive for a shiny chrome color in your weld. Welding code acceptance criteria tables detail the colors (or amount of oxidation) that are acceptable in a weld. You can find one available at American Welding Society here. Sanitary stainless pipe color tables may be different than a stainless weld going into space, but not by much. 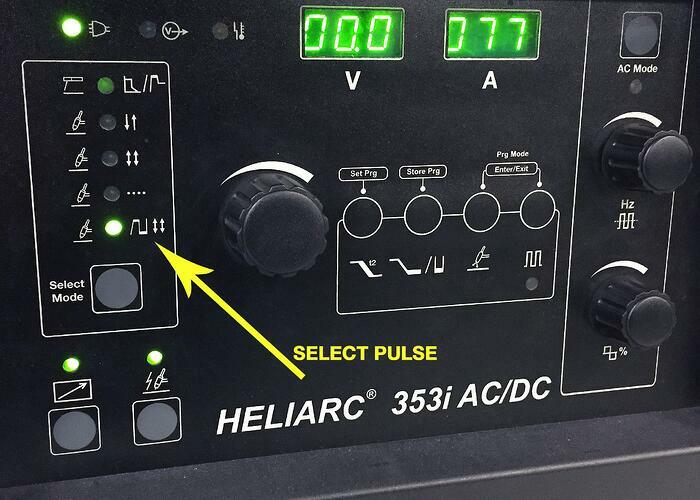 To do it right, you really want to tune in your power source and gas flow for TIG welding stainless and check the codes and standards. Even if you're not welding to code, these guides are still the source for best welding practices. 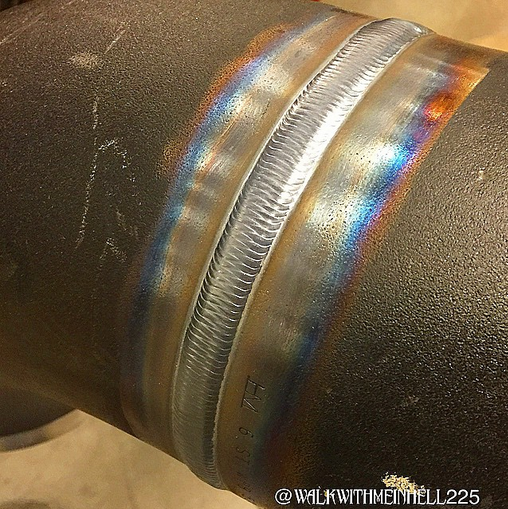 Judging from the crazy good bead work I'm seeing on these sites, I am positive you all have the talent to make your next cool color on your welds a shiny chrome. 1) Use a gas lens instead of a collet body to deliver a smooth column of shielding gas, which is a must. 2) Use a glass cup gas lens for small diameter stainless pipe welding, allowing full visual contact with the arc, and giving you better control. 3) If you have the option, use pulse on your machine settings. It's the best way to lessen the heat and deepen the penetration. You can dial it in for very fine control and a perfect bead profile. You can also download a Welding Procedure Specification (WPS) and print some out to keep with you on the job. Again, I would like to personally give a big thanks to those of you who are passing down this knowledge on social sites. You are keeping the craft alive and well by passing along the good stuff and doing it respectfully for the benefit of future welders.